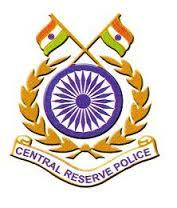 Dear Readers, Central Reserve Police Force (CRPF) has released admit card for PST(Physical Standard Test)/Scrutiny of Documents for the posts of 219 Assistant Sub-Inspector (ASI)/(Steno) including 8 ex-servicemen, through online direct recruitment basis for the year 2016 -17. The written examination will be bilingual i.e. in English & Hindi.